Have you ever waited until the last possible minute to start a project? Do you ever find yourself staring at a blank word document, just waiting for those first couple of words to come? Do you stress when you have too many to-dos and too little time? If so, you can finally relax. Time Management & Productivity is guaranteed to break you of these habits and kick you into overdrive. You will learn the strategies that work, the strategies that don't work, how technology has changed our ability to concentrate, and how to sustain an ultra-high level of productivity...permanently. We will examine 15 of the greatest books ever written on the topic, and summarize them in a way that makes everything easy to understand. 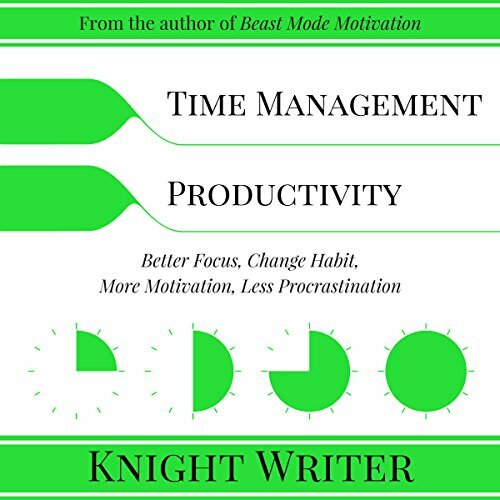 You will learn all of the popular time management and productivity strategies known today. You will find certain patterns and similarities among nearly every strategy, but also find some differences. Ultimately you will possess all of the information you need to select the plan of action that is perfect for you. If you have any questions about this product by Knight Writer, contact us by completing and submitting the form below. If you are looking for a specif part number, please include it with your message.